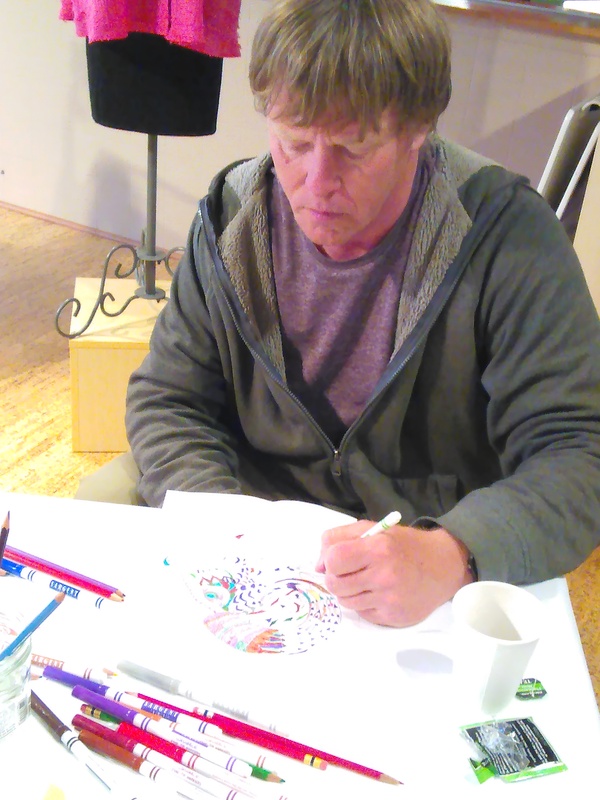 Coloring continues through May and into June! Dee was inspired! We’ve had so much fun coloring on Weds. evenings, we decided to continue at least through May and into June! 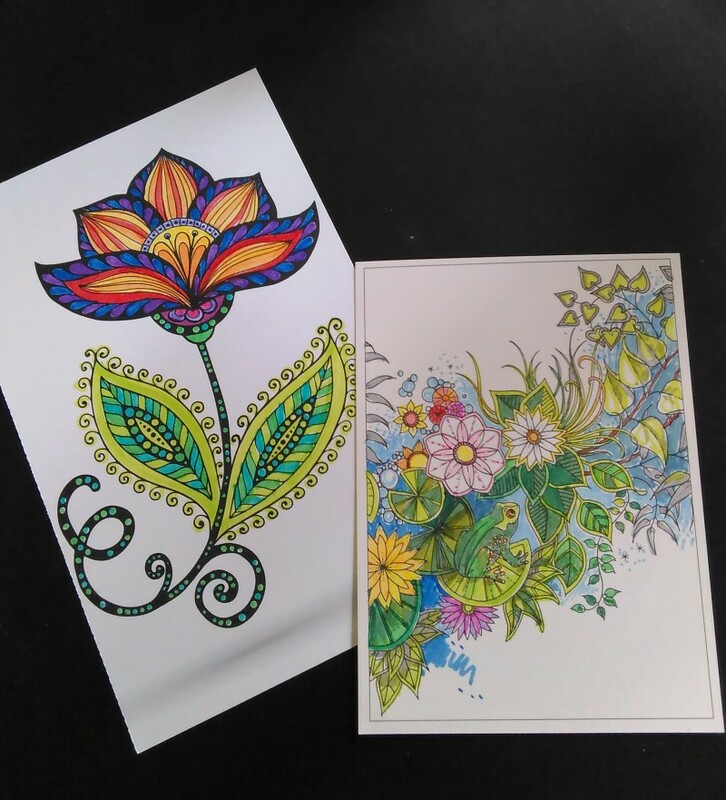 Some new creations, the one on the left courtesy of Andrea from The Coloring Project (colored by me!). Coloring on Weds. evenings has been fun. It’s been a nice chance to have some good conversations with the people who have dropped in. Last night we found out that both Kevin and Dee have been in the Navy, and last week Andrea filled me in on life coaching. 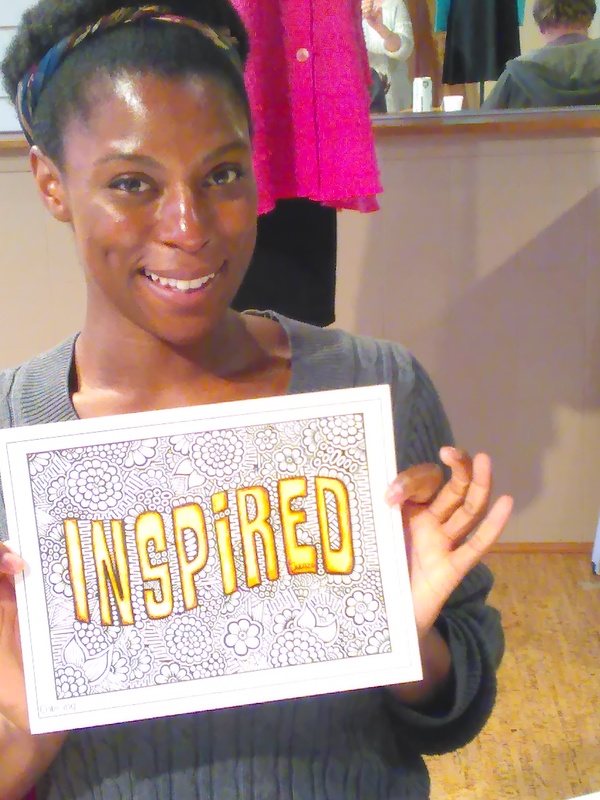 And while we talk and drink tea, we’re exploring color, resting our bodies and our brains! If this sounds fun, you too can join us any Weds. evening from 5:00 ’til 7:30 in the space across the hall where we held the Kristin Ford Trunk Show and our Very Merry Christmas pop-up. And don’t feel you have to stay the whole time – swoop in and swoop out whenever you can fit it into your busy schedule. And that’s the point – some “down time” in our busy lives!